The first day of child care is a time of excitement and uncertainty for many families. It is common for children (and parents) to experience feelings of anxiety in the lead up to starting care. In children, these feelings are often caused by a fear of the unknown, as the child has no point of reference to draw upon when they are faced with a new environment or experience. 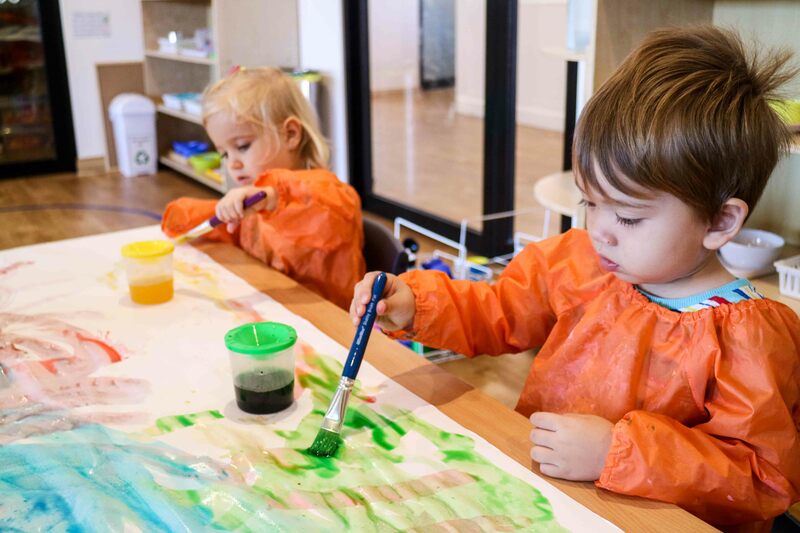 It takes time for them to adjust to their routine, build relationships, and understand that their new preschool is a fun, safe, and happy place. Some children take to their new preschool environments with ease; whereas others may initially suffer from separation anxiety. This is completely normal, and will pass in time. Either way, the tips below will make your child’s first day at preschool (and the days after) a more manageable experience for your little one, and for you. 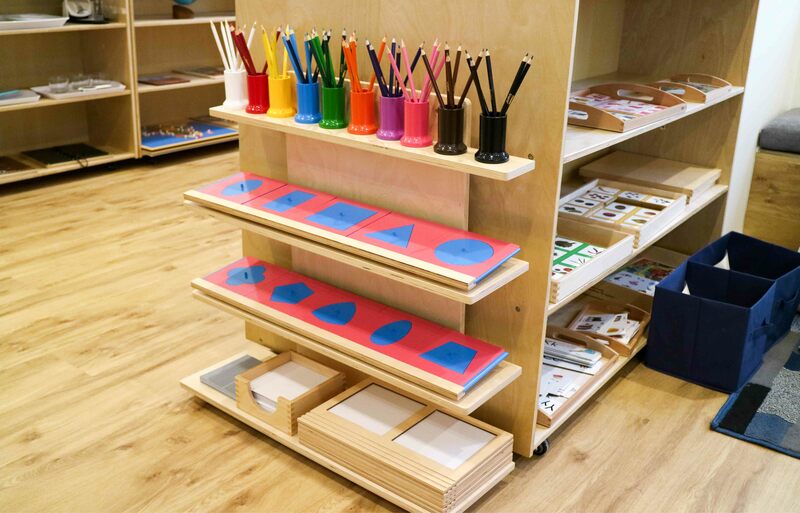 Prepare your child for their first day of child care by talking to them about the centre, the new friends they’ll make, and the exciting new toys they’ll get to play with. It is also a good idea to read to them about their favourite characters going to school. Popular titles include: ‘Mum Goes to Work’ by Libby Gleeson and Leila Rudge, ‘A Bit Lost’ by Chris Haughton, and ‘How to Babysit a Grandad’ by Jean Reagan and Lee Wildish. Modelling positive behaviours and attitudes plays an important role in the success of the first day of school, and the weeks thereafter. Keep discussions about preschool positive, and focus on things that your child is likely to enjoy. Children pick up on parent’s feelings, behaviours, and emotions, and are likely to emulate them if you are feeling upset or uncertain. 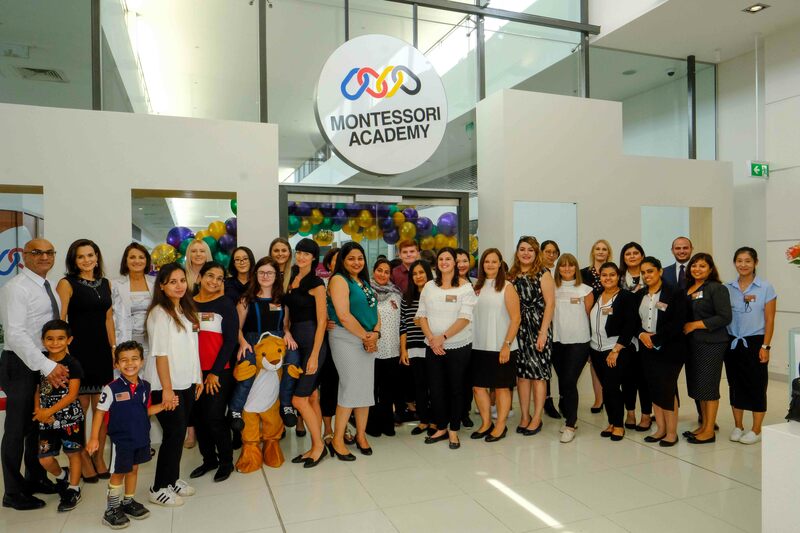 As part of Montessori Academy’s introductory process, we invite all families to come in for a two-hour orientation before your child commences. Orientations usually run from 9am – 11am. Families are welcome to stay on campus and observe how they child adjust to their new environment. It is important to remember that some children take longer than others to settle. If you are feeling nervous about your little ones first day, please feel free to contact your child’s Centre Manager or our dedicated Family Care Team in head office. We are happy to answer any questions you may have, and provide with emotional support in the lead up to your child’s first day with us. Double check your child’s enrolment kit for their daily list of needs. 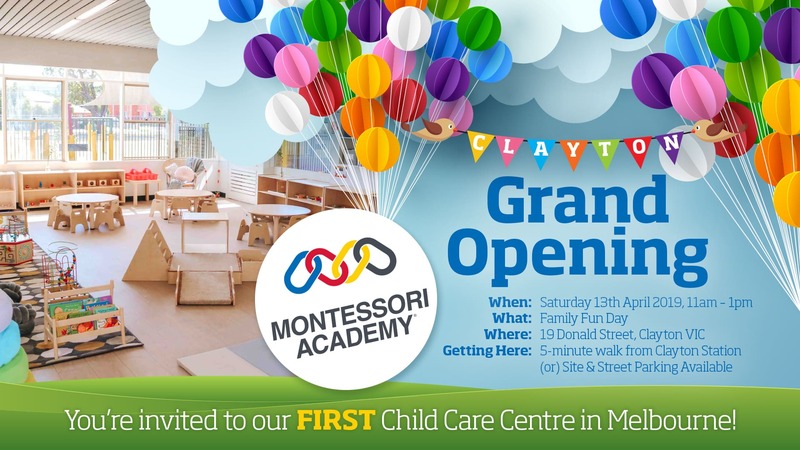 For most Montessori Academy childcare centres, children will need to bring: drink bottle, cot-sized sheets, school bag, two spare sets of clothes, sun smart hat, nappies / pull ups (if required), and lunchbox. Remember to label everything clearly beforehand. You are also welcome to pack a comforter, such as a toy or blanket, and a family photo. Establish a positive and happy morning routine for preschool days. For children over two, this may include encouraging your child to pack their own school bag, find their favourite comforter, or sing a happy ‘school day’ themed song. In addition, always give yourself plenty of time to get ready and arrive on time. Feeling late or rushed can cause children to feel extra anxiety. To ensure that your child receives the greatest benefit from the Montessori program, it is important to arrive before 8:30am. Once you have arrived, ring the doorbell and wait for the Centre Manager to welcome you the centre. You will be provided with a security card on your first day of child care, and shown were to sign in your child every day. The staff will also show you where your child’s locker is, the location of the lunch and sleep charts, and program and information display areas. Montessori parents who establish a consistent goodbye routine typically have better luck with successful goodbyes. Take a special moment with your child to say goodbye. Some of our current parents go with a simple kiss and a cuddle. Whereas others have established a ‘secret’ hand shake for child care! A special goodbye is a great way for your child to start their day feeling happy and reassured. When it is time to leave, don’t linger in the classroom, or stay for “just one more minute.” The best thing you can do is give your child a hug and a kiss at the door, let them know you love them, and reassure them that you will be back in the afternoon. It is important to be punctual when picking up your child. It easy to lose track of time, but no matter who is picking your child up, always be on time. If you are late, it can cause your child to feel more anxiety, and makes drop off the next time much harder. On your child’s first day of child care, it is wise to pick them up a little earlier so that they ease into their new routine.